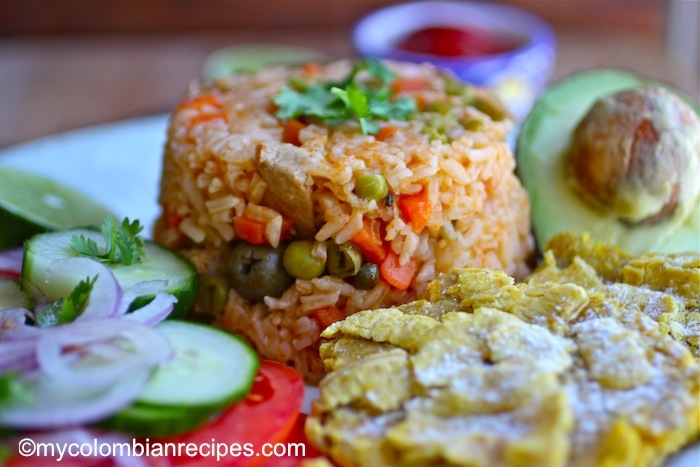 Rice is a staple in Colombian cuisine and such a versatile ingredient. You can make desserts, side dishes, main dishes and even drinks using rice. I love rice and must have it in my pantry at all times, so if I run out, that means it’s time to go shopping! As much as I could eat plain white rice every day, I love all the rice recipes we have in Colombia. Every region of the country has its own signature rice dishes and they are all comforting, full of flavor and delicious. 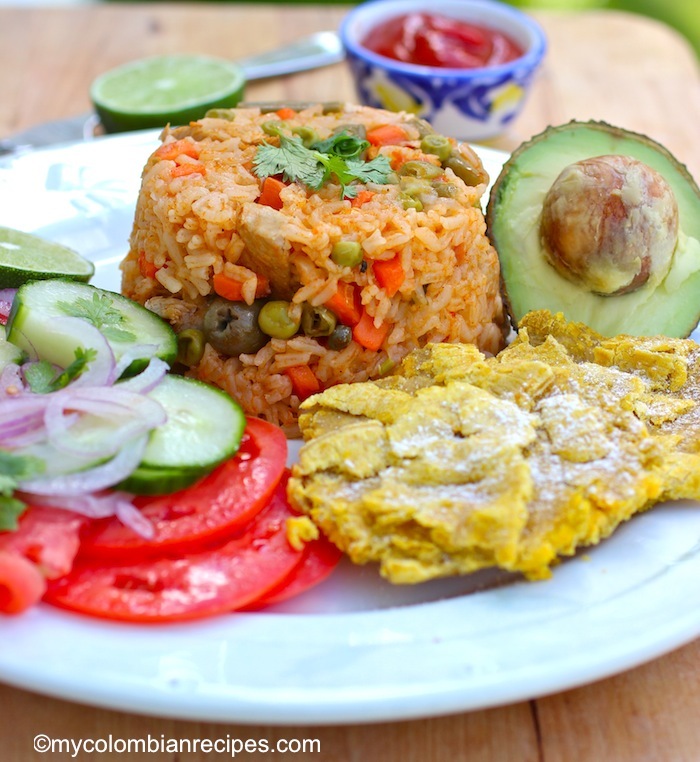 Arroz Apastelado is a specialty of the Caribbean Region of Colombia. It is a wonderful rice dish cooked with pork or chicken, vegetables, capers, olives, herbs and spices. 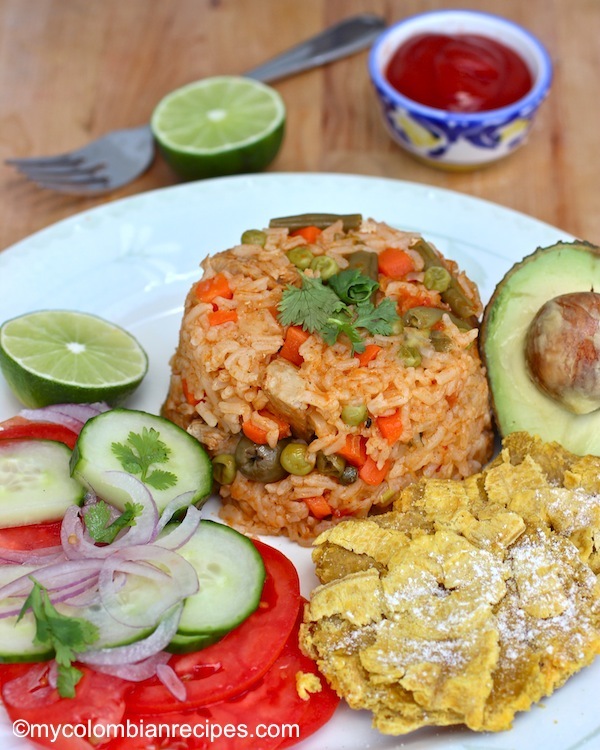 This popular dish is usually served with fried green plantain (patacones) or cassava fries (yuca frita), avocado and a fresh salad on the side. 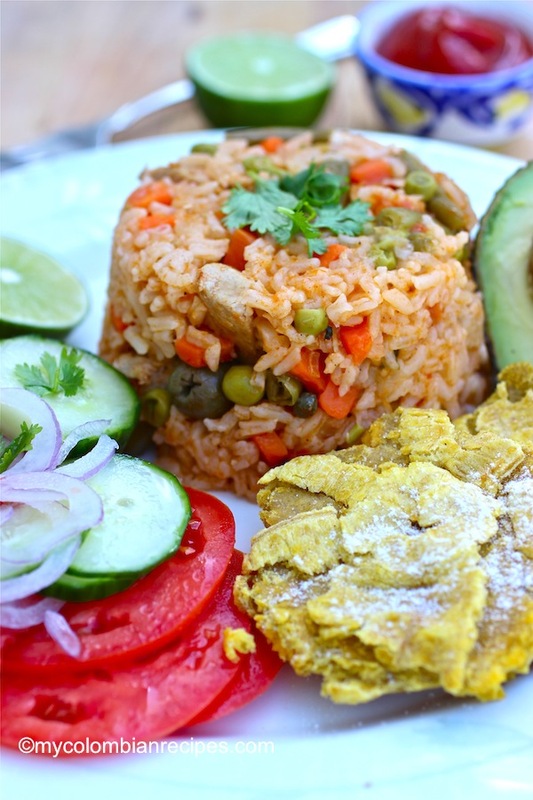 Every cook on the Caribbean coast has a different recipe for Arroz Apastelado. Some cooks add chicken and pork to their rice, while others use either chicken or pork. I had this dish in a restaurant in the beautiful city of Cartagena, where it was made with only pork, just like the recipe I am sharing with you today. Palce the pork with the aliños sauce, black pepper and salt in a bowl. Marinade for two to three hours or overnight. Place the oil in a medium pot and add the red onions, white onion, tomato, garlic and ground achiote. Cook over medium heat for about 7 minutes or until the vegetables are soft. Add the pork and sauté over high heat for about 6 minutes. Add the rice, water, tomato paste, vinegar and salt to taste. Bring to a boil and once the rice is boiling add the green beans carrots, peas, olives, capers and ground cumin. Stir well and then reduce the heat to low. Cover and simmer for about 20 to 25 minutes or until the rice is cooked. The rice should be moist. 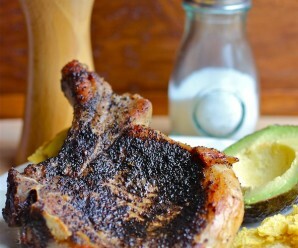 Serve with fried green plantains or yuca fries, and a salad with avocado. 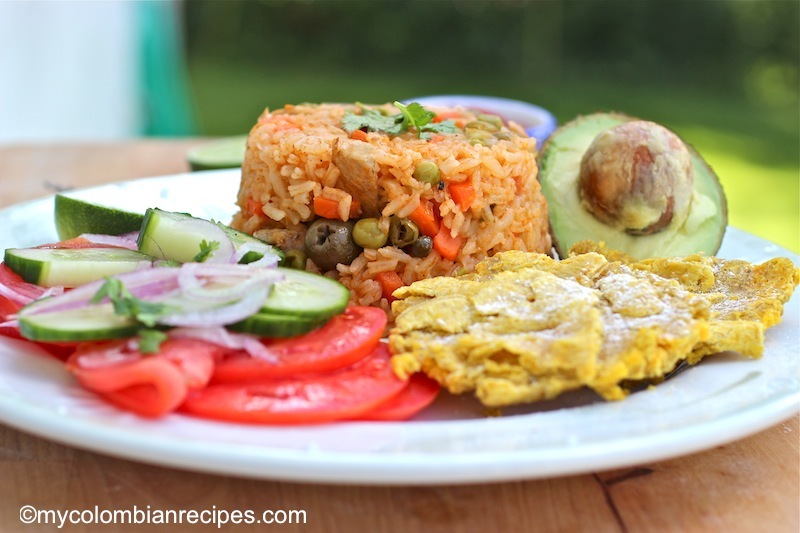 I love rice..this looks really super with banana fritter and avocado salad. I too love rice…and this rice dish looks delicious Erica…like the flavors in it…al the meat and veggies…beautiful! Gracias Erica, todo el blog está fenomenal! Tienes la receta del arroz de coco de la costa? Podrías compartirla? i love the little veggie jewels popping out of your rice pile–this is a wonderful side! Looks delicious! I need to try it! 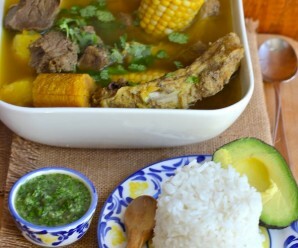 This is like the rice my mom makes for pasteles. Hay un ingrediente que falta y el cual le da ese sabor especial a este arroz y se llama Pimienta Negra que creo en ingles traduce a Whole Allspice. No estoy segura. 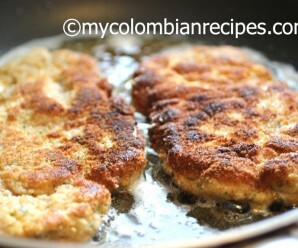 Sin ese ingrediente que le da ese sabor único, la receta del arroz apastelado costeño sabe igual a un arroz con pollo. Soy de Cartagena. 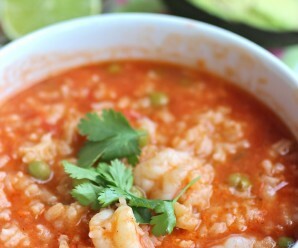 Gracias por todas tus deliciosas recetas. Pimienta negra es pimienta negra y caliente. Allspice es pimenta (n.b. no ‘i’) las bayas secas inmaduras del mirto y es dulce.